Tom became the President/Owner of the Wildrose Oxford facility after 4 years as the General Manager. After training his first dog in 1998 the American style, Tom visited Wildrose and decided to join the pack. Wildrose Dixie became his best friend, hunting partner and office companion in 2008. He then became an associate trainer in 2010. After selling his industrial construction company, and deciding to further the never ending adventures with Wildrose, Tom joined the Wildrose staff full time as the General Manager in October 2014. He received his bachelor's degree in history from the University of Kentucky and served in the military as an Infantry Officer from 1990 - 97 in Georgia, Alaska, Thailand, Japan, Egypt and Virginia. He is originally from Tell City, Indiana. Steven is the senior trainer at Wildrose and is a legacy following his brother, Charlie Lucius, who worked three years at Wildrose. Originally from Marietta, Georgia, Steven is a graduate of the University of Mississippi with a degree in marketing. Steven began working for Wildrose in March of 2008 as a part-time kennel assistant. He was promoted in 2010 to training apprentice working directly with Mike's string of started and finished dogs. June 1, 2011, Steven was promoted to assistant trainer working with the gundog and adventure dog training programs. As senior trainer, he coordinates all training operations at the Oxford facility which includes gundogs, adventurers and obedience dogs. Steven and his wife Schuyler reside in the Denmark community with their 3 dogs. Danielle originates from Theresa, Wisconsin. Throughout her high school years she worked as a gardener and for the Washington County Humane Society. She joined the Army in 2011 and was medically discharged after one year. Danielle is a graduate of American Military University with a degree in Environmental Sciences with an emphasis in Fish and Wildlife. She was employed at Wildrose in 2012 as a health care specialist, then advanced to trainer apprentice and later assumed the position of obedience trainer in 2014. Danielle is an AKC evaluator for Canine Good Citizen, training coordinator for Wildrose Service Companions, social media management and the director of the popular Wildrose Adventure Dog Training and Certification Program. Danielle, husband Kelly, son Thaddeus and their 2 dogs and cat reside in the Denmark community. 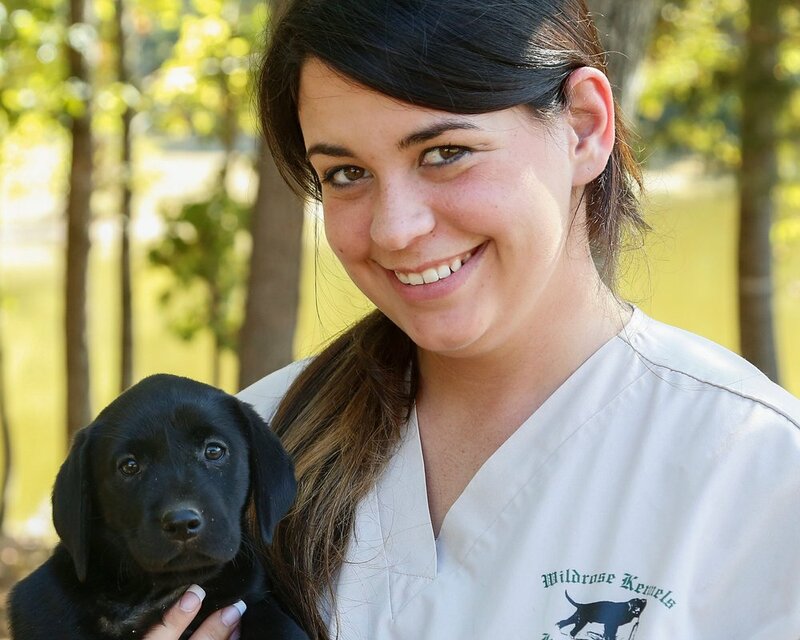 Blake began working for Wildrose as a part-time kennel assistant in January, 2007, while attending the University of Mississippi. He was promoted to Keeper in 2008 with responsibilities that included maintenance, facilities, grounds and exercising sires and dams then moved to a full-time position in 2010. Blake was promoted to apprentice trainer in 2013 and advanced to trainer in 2014. His keen interest in waterfowling and hunting sports along with his exceptional communication skills have proven invaluable to his success as a trainer and to the Wildrose client experience. Blake and his wife Mary Lee reside in Lafayette Springs with their 4 dogs. Originally from Ocean Springs, Mississippi, Ryan advanced his education at the University of Mississippi majoring in Sports and Recreational Administration. Ryan directs Wildrose training services in the Teton Valley Idaho for six months of the year in association with the renowned Blixt & Company, which is a driven shooting estate in Tetonia, Idaho. Ryan is charged with onsite kennel operations, training and directing the gundog program. He also manages the staff for picking up birds while “roughshooting” on behalf of Wildrose and Blixt & Company. After shooting season is completed in Idaho, Ryan returns south to Wildrose to serve as a trainer at the Oxford facility. Ryan extends the Wildrose Way for basic gundog, seasoned and finished retriever training to the Northwest, further broadening our services to clients and their Gentleman's Gundogs. Ryan and his soon to be wife, Kelsey, reside in Oxford with their 4 dogs. Mindy is an Oxford native who has a B.A. from the University of Mississippi. She has a lifelong love for animals and worked as a receptionist for Lafayette Animal Clinic from 2007 to 2012 where she became acquainted with Wildrose Kennels. She began working with Wildrose Trading Company in retailing and customer services in 2014. In 2019 she became the office manager with duties including: placing puppies, accounts receivable/payable and a multitude of other tasks. In addition to her office duties, her love for animals makes her an exceptional puppy backgrounder socializing client puppies and acclimating them to the home environment while introducing basic obedience skills. Mindy enjoys a variety of outdoor activities including fishing, hiking, horseback riding and mushroom hunting with her husband, Kel. Antonio graduated in May of 2018 from The University of Mississippi with a B.S. in Integrated Marketing Communications and a Minor in Business Administration. Soon after, he started his job at Wildrose. His responsibilities include: retail management, website design/management, social media management and assisting in marketing communications. He loves dogs and wants to learn as much about training as he can. He plans to train his own Wildrose pup one day. Antonio lives in Oxford with his wife Aleka, who also works in marketing communications. Lanette joined Wildrose in June of 2002, as an animal health care specialist and was promoted to health care supervisor in February, 2004. While pursuing a biology degree at the University of Mississippi, Lanette worked part time, as a veterinarian assistant, for the Lafayette Animal Clinic from January, 1999 through February, 2004, assisting in surgery and on farm calls. Currently, Lanette supervises the Wildrose husbandry programs and health care for our sires and dams along with the dogs in training. She is responsible for supervising the Wildrose Super Learner Program (SLP) and the Super Scent Series (SSS). Lanette resides in the Denmark community with her son Aidan and their dog Ginger. Alex is a native of the Oxford area and joined our health care staff as a part-time health care assistant in January 2015 and was promoted to full time December 2015. Alex's love of animals prompted her to start working at Crossroads Animal Hospital and then later join our staff at Wildrose. She supervises the Super Learner Program and Super Scent Series and assists with monthly health checks and exercise programs. Alex enjoys hunting, fishing and various outdoor activities with her husband Tyler and son Tristan. Scott was born in Milwaukee, raised in Baltimore, studied biology and chemistry at Gettysburg College followed by structural chemistry at the University of North Carolina, and worked three decades as Director of Materials Chemistry at the University of Illinois before retiring and immediately acquiring his first hunting and fishing licenses since high school. Anxious to find the perfect canine companions for numerous upcoming adventures, Scott and his wife, Roxy, researched breeds and kennels nationwide for six months. They selected their first Wildrose pup, Cora, in 2013 and their second Wildrose pup, Suzy, in 2015. Scott adopted Widgeon, who took to his retirement career as a therapy dog and earned his AKC THD in less than a year. After 2 years volunteering with Widgeon as a therapy team, Scott is now a licensed Pet Partners therapy team evaluator. Beyond helping to focus the Wildrose Service Companions program since 2016, Scott enjoys trekking, training, hunting, and fishing with his Wildrose companions. Will was born in Hernando, Ms. He joined the Wildrose team in January of 2016. He is currently attending the University of Mississippi where he is a working to complete a double major in Real Estate and Managerial Finance with a minor in Entrepreneurship. Will’s job is to maintain the living conditions around the kennel for all the birds and dogs along with any other maintains that the grounds requires. Will trains kennel hands to be fluent in everything Wildrose needs to keep its facilities immaculate. His hobbies include hunting, fishing, playing golf, and working with his dog WR Julep. Mike Stewart is the President of Wildrose International which hosts full-service kennels in Oxford, Mississippi, Dallas Texas and Hillsborough, North Carolina with additional training facilities in Colorado and Arkansas. Mike is best known for his appearance on Ducks Unlimited TV’s “World of Ducks along with DU’s retriever training online features with Drake and Deke, the DU Mascots. Mike is publisher of the Wildrose Journal which is the largest disseminated online magazine dedicated to the Sporting Dog Lifestyle and founder of the Wildrose Service Companion Foundation, a Mississippi-based non-profit whose mission is to provide assistance dogs for therapy and service to individuals with special needs. His induction into the Mississippi Wildlife Hall of Fame occurred in 2018. Bryan, originally from Virginia, is a retired U.S. Army veteran with over twenty years of service. He obtained his Associates degree in General Education from Central Texas College and earned numerous information technology certifications during his military service. Bryan completed his military career as a Special Operations communications instructor. Previous to his arrival at Wildrose, Bryan was the head guide and dog trainer with an Orvis-endorsed wingshooting lodge. Bryan's leadership experiences in the military and those gained from his work through upland hunting services has enabled him to easily adapt to training gundogs, both pointers and retrievers, the Wildrose Way. Bryan expands Wildrose training opportunities to include pointing breeds balanced to work with Wildrose retrievers. This specialized instruction affords wingshooting enthusiasts the opportunity to field gundog teams trained for pointing, flushing and retrieving The Wildrose Way. Travis is from West Columbia, West Virginia, where he owns and operates Facemyer Lumber Company. He is an avid wingshooter, hunting all over the country and Canada every year with Wildrose Rogan, Wildrose Faolain and his Vizsla, Piros. Travis has a diverse sporting gundog training background to include both retrievers and pointing breeds. He is a member of the Appalachian Valley Chapter of North America Versatile Hunting Dog Association, a pointing dog organization that sponsors "Hero's Tribute Hunt" for disabled veterans. Travis bought his first Wildrose dog in 2011 and he has been a constant participant and instructor at Wildrose workshops over the years. He became an Associate Trainer with Wildrose supporting the West Virginia region of the country in 2016. Sarah is a Civil Engineer for Alabama Power in her hometown of Tuscaloosa, Alabama. She is an avid animal lover and enjoys all things outdoors. Sarah bought her first Wildrose dog, Gunner, in September of 2009 and immediately adopted "The Wildrose Way" of training. She won the Gun's Choice Award at the Double Gun and Retriever Classic in 2011. Sarah joined the Associate Trainer staff in the spring of 2011 and works with the started dog program and the DAD dog program. Sarah and her soon to be husband, Rob, reside in Alabama. Craig was a Product Manager for one of the Midwest's largest wood truss manufacturers for over 30 years. Craig began training retrievers in 1974 and has shown German Wirehaired Pointers and trained them in the field as well. He bought his first Wildrose dog in 2001 and has been training The Wildrose Way ever since. In 2004, Craig became an Associate Trainer for the started dog program. He has trained and handled Wildrose dogs to a first place finish in the Wildrose Retriever Championship in 2005, the Gun's Choice Award in 2006, and the Gun's Choice Award at the Double Gun and Retriever Classic in 2007. Craig and his wife, Carol, reside in Sheboygan Falls, Wisconsin. Tim is a Lieutenant Firefighter/Paramedic on his hometown fire department in Whitman, Massachusetts. Tim is married to Danielle and they have one daughter, Kiley. Tim bought his first Wildrose dog in 2007 and has been training The Wildrose Way ever since. Tim assumed his position as an associate trainer in the fall of 2009, expanding our training capabilites into the Northeast. 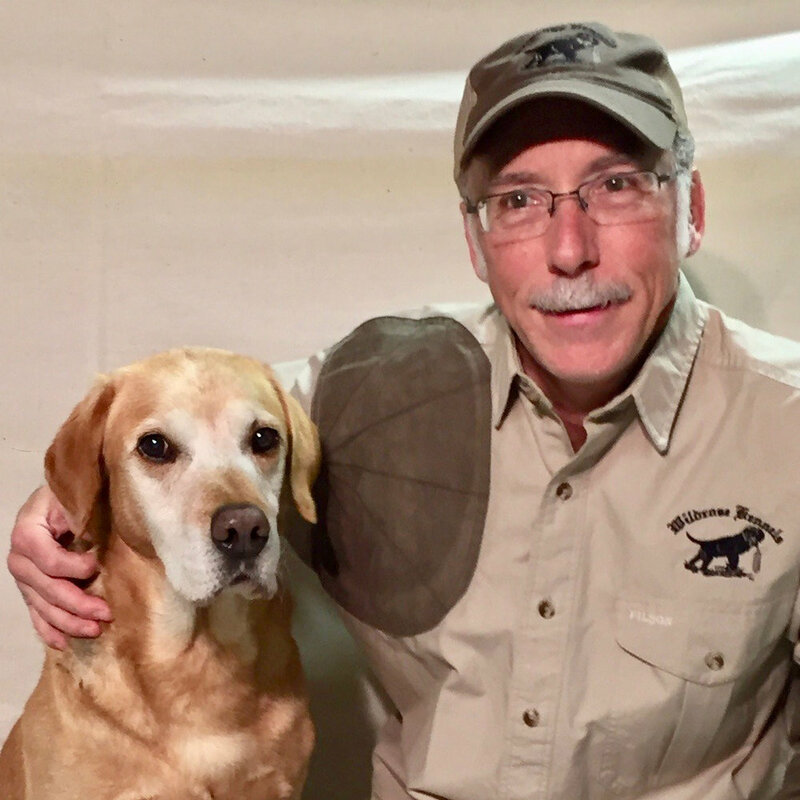 Tim participates in the started dog program and assists with on-the-road Wildrose seminars and events, including the Orvis Cup in Sandanona, NY at the Orvis shooting grounds. Erin joined Wildrose as an associate trainer is 2015 with her focus on obedience and backgrounding. In 2017, she was promoted to started dog associate trainer. She is based in the Chicago suburbs specifically in Valparaiso, Indiana. She is also an emergency nurse who specializes in trauma. Erin is a lifelong learner of animal psychology, healthcare, and husbandry specifically related to dogs, horses, and exotic parrots. Her passion for animals was professionally developed as a domestic and exotic veterinary technician, as an Indiana DNR research assistant studying sport fishing in Lake Michigan, and as a horseback riding instructor. She is a member of the National Association of Dog Obedience instructors and the Association of Professional Dog Trainers. She is an active waterfowl, upland, small and large game hunter with her husband, Alec and their 3 dogs. Clayton has always been an avid hunter and outdoorsman. 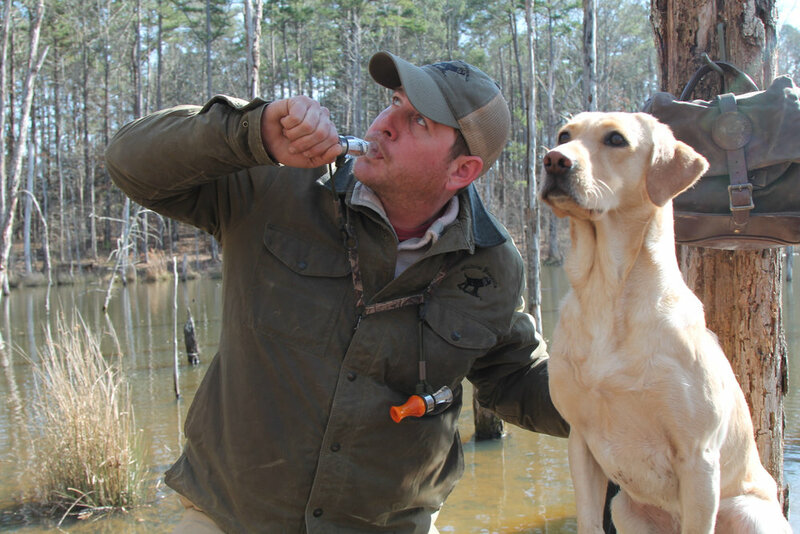 In 2003, he found a true passion in duck hunting and began training waterfowl retrievers. Clayton continued to train waterfowl retrievers for years, but he was still looking for a quality gun dog. 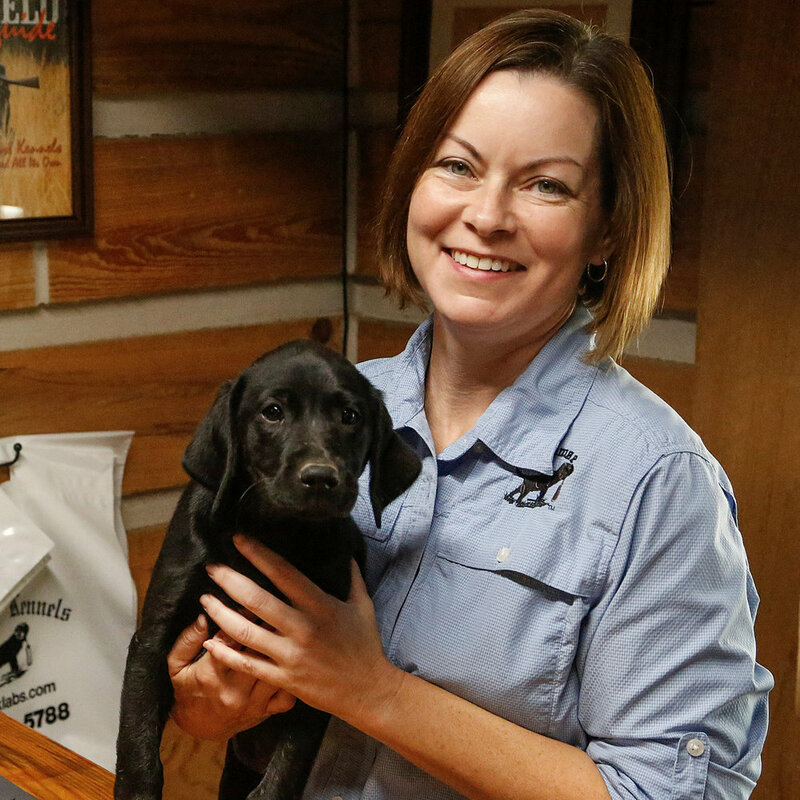 One day while watching Ducks Unlimited TV, Clayton heard about Wildrose Kennels. He was instantly intrigued and had to know more. Not long after that, Clayton purchased his first Labrador in Oxford, Mississippi. He is now a part of the Wildrose family and has been an associate trainer since 2016. Hunting was once a hobby but has now grown into a way of life for Clayton. He hunts over two hundred days a year and has dogs in the fields nearly every day. Clayton guides hunts from Canada to Texas and has made appearances on television shows such as Drakes Migration Nation and Campbells Outdoor Challenge where he was recognized for his record winning Antelope. Clayton is an avid hunter of all things, but he most enjoys hunting waterfowl and anything he can shoot with his bow. He never goes on a hunt without Wildrose Master Chief by his side as well as any pups he may currently be working with. Clayton is from Makanda, IL where he currently lives with his two sons, Ty and Chase. He enjoys spending his free time with his family, fishing, playing basketball, and – of course – hunting.